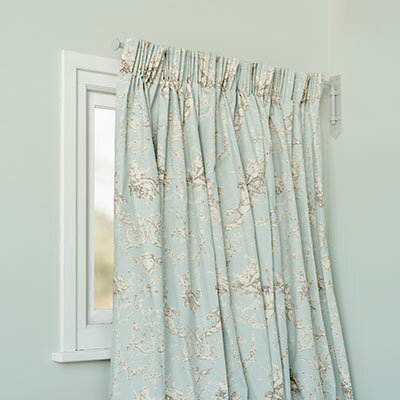 Useful for small recessed windows as the rod will swing back against the wall letting in maximum light. 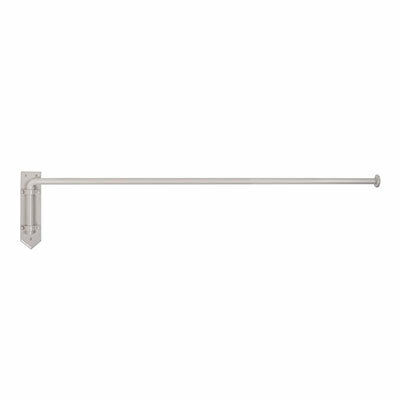 These rods can also be used over doorways, though the extra length may cause it to drop slightly at the end. 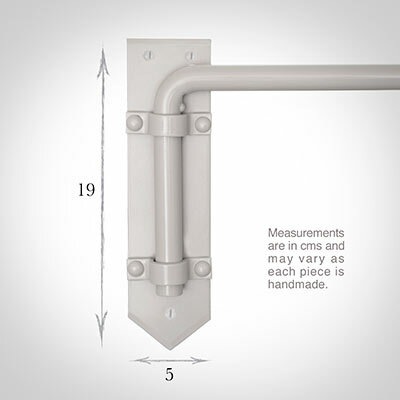 The maximum recommended length is 120cm, but over about 100cm (depending on the curtain weight) you're likely to need a support bracket (our code 648). 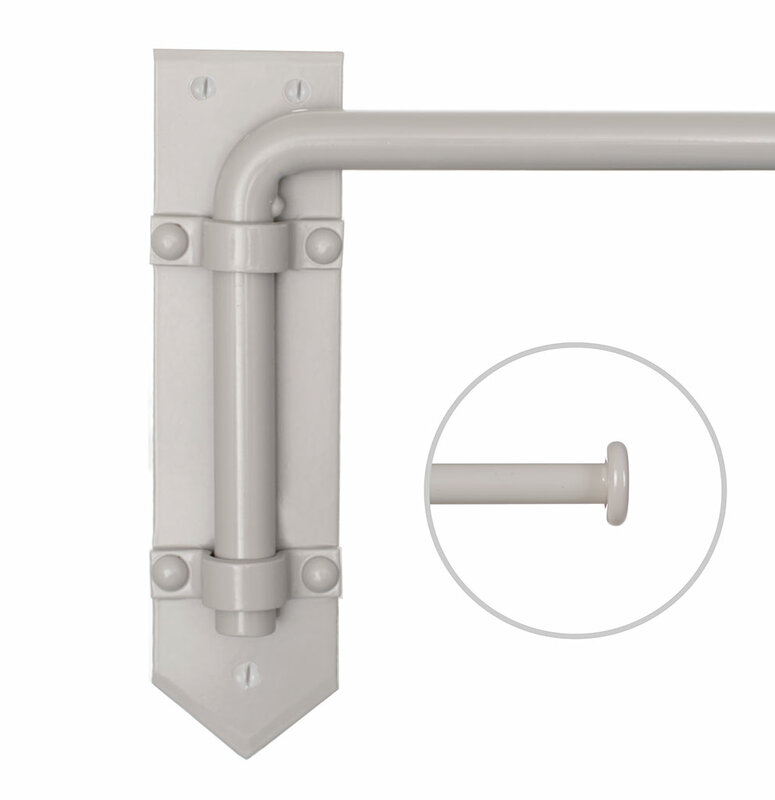 For lengths over 120cm we recommend a portiere rod, or curtain pole and brackets. We make the dormer rods to measure and need the total length of the rod, from the end of the button finial to the centre of the hinge. (The hinge is 5cm wide.) You also need to tell us whether you want to fix the bracket to the side wall or the same wall. The length and fixing information should be given in the Comments Box, during the Checkout Process. 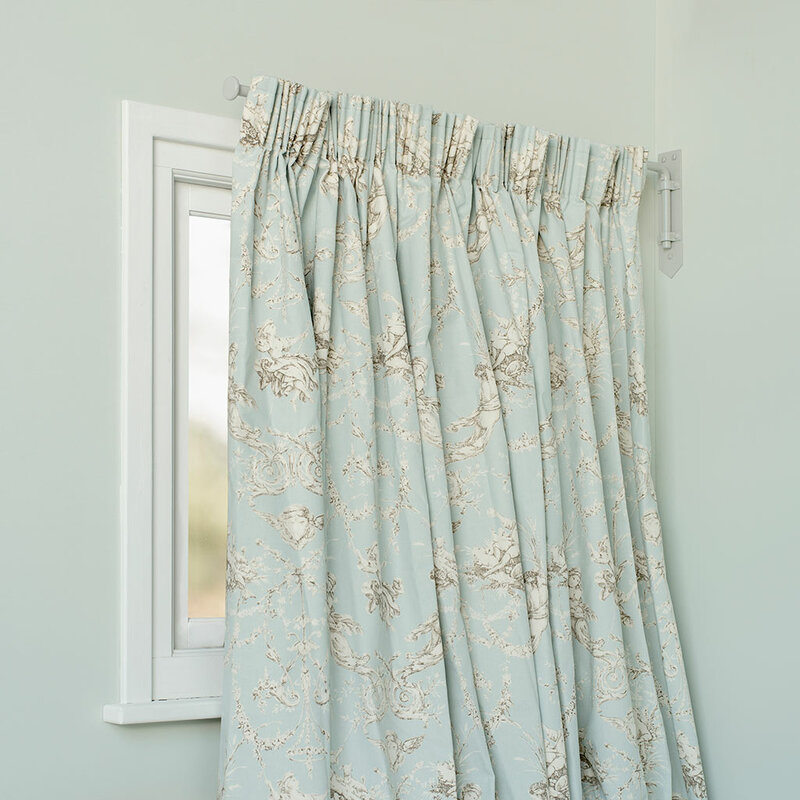 Please see our helpful, downloadable guide to fitting a Dormer Rod.